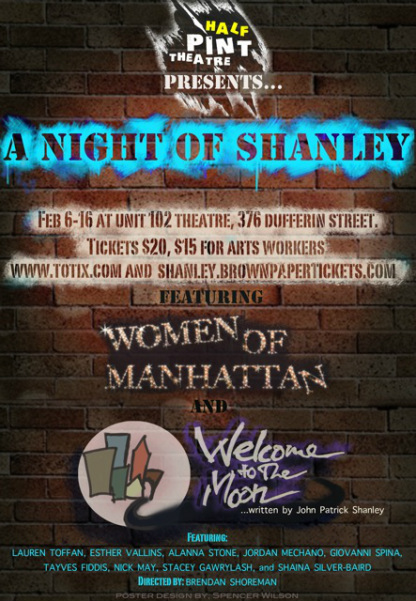 Alanna Stone and Lauren Toffan of Half-Pint Theatre may be small, but they’re also mighty. 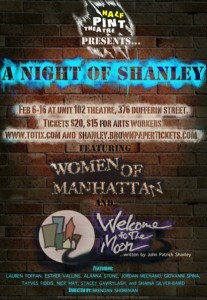 A Night of Shanley brings two of John Patrick Shanley’s tales of the Big Apple – Women of Manhattan and Welcome to the Moon – to Hogtown. …and, as an added bonus, stay tuned after the episode for a couple of amusing moments that ended up on the virtual cutting room floor. Posted on January 27th, 2013. This entry was posted in Theatre and tagged alanna-stone, lauren-toffan, new-york, toronto. Bookmark the permalink.